I am leaning toward the inverter type because of the 20A supply (I may not have the little yard long term so not really worth putting in 30A plug) so am looking at Parweld / R Tech because of the long guarantee. Also the DC will weld grey cast iron. I have to get a pinion cut for the large lathe's back gear, so will delay until I am ready to start on the project I need the welder for. I take the point from V8 Druid that I will be fine on 3.25 rods as a max. I found my old Tech notes / cert in loft, seems I did the vertical on E6013 on DC, & that low hyd 7018's were another way of vertical welding if only access to AC. Also I gather low hyd rods really come into their own at combined thicknesses over 18mm steel (& that badly stored 7018's can cause as much trouble as they are supposed to solve) - some do a root run on low hyd - followed by capping with rutile. I guess it comes down to how badly I wish to repair cast iron, will talk over the plug thing with landlord, as a small oil cooled cheaper & longer lived - I need 140A @ 50V for the rutile 3.25 rods & around 100A @ 80v for low hyd 2.5 as a minimum (this means no cast iron though) A difficult decision. I've had a 140 amp Parweld running off 16 amp in my garage for a good few years now. No arc force or fancy options, but it does the job and keeps doing it. I have run 4 mm electrodes on it for short bursts, but it's happier with 3.2's and 2.5's. Remember 7018's generally need an extra 5 or 10 amps compared to rutiles. Mostly rutiles run better electrode negative unless you're running heavy coated rods like Vodex. The only time I've run 7018's negative is on a fillet root, the rest of the time it's positive. Your currents look a bit on the high side to me. I've never run over 90 for 2.5 or 125 for 3.2 on d.c.
Last edited by bri963; 25-05-2018 at 10:12 PM. the 3.25s'll do most things and can give a better penetration than fours do, unless you have a set you can really juice up. It won't quite run a 4.00 7018, but Zodians and ESAB 46.00's run nicely. At work I use a 350-amp Miller on big stuff, not my first choice of machine, personally I rate the big Thermal Arcs. We've also got a 250 Miller. Originally we had a SIP 250 transformer, air cooled, but that gave up when flames started blowing out the back running at 180 amps, which was when we bought the 300 amp ThermalArc ran for nearly ten years before blowing up. We had a 200 amp Murex which took a board out running on 60 amps AC, a year later it exploded and blew flames out of the sides, again on AC, and recently the 250 Miller took a board out after running just over a year, running at 27 amps tigging stainless. Up and running again, now. I've never had a Cytringan or Oxford blow up or catch fire.Best stick welders by far are the DC generators. I find inverters on DC are far more likely to suffer arc blow. Last edited by bri963; 26-05-2018 at 08:55 AM. I haven't seen one those for a lo-o-ong time. Last one I used had a Ford industrial engine. 600 amp. You could use any rod to gouge with at 400, but the holder soon warmed up. Great set ..... must get it sorted to repair our cattle grid soon ..... before it falls apart !! What engine has that red brute got, Gra? 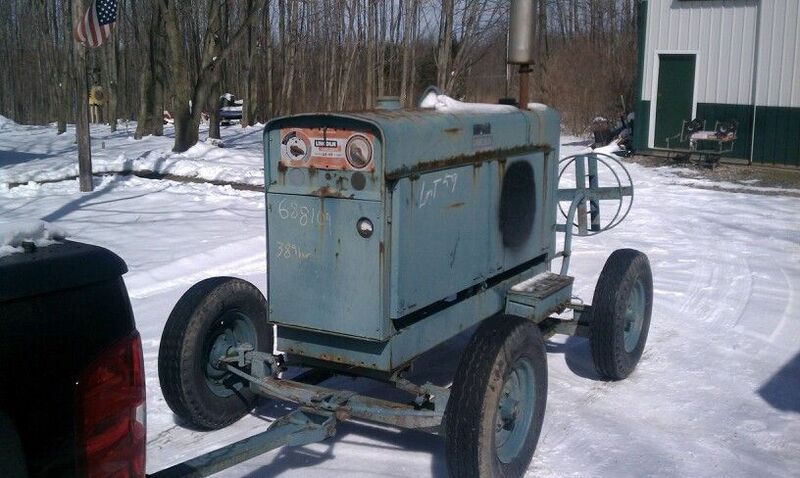 If you had looked at the classifieds section you would have seen I was selling my 450A DC Miller arc welder, gone to scrappy now.